Power/Audio cable for active wedges w/ XLR and IEC? A Few months ago I purchased some 14/3 SO cable and made my own IEC power cables, then purchased some 22awg signal/audio cable for my audio feed to the active wedges on stage. I velcro'd them together every 4-5'ft but still doesn't look clean enough on stage going to the wedges, at least not for me. I'm hoping to see if someone has any info if there is a company that manufactures this in bulk with 1 loom? Meaning having the power (whether 14/3 or even 16/3) and the signal/audio (for XLR) all in one loom so that I can manufacture my won cabling but much cleaner look than what I have now? Re: Power/Audio cable for active wedges w/ XLR and IEC? Vandamme Ambicore is what I have used in the past. I buy braided sheathing and make my own. The commercial ones with an extruded jacket are heavier and bulkier. I don't know that a siamese cable is going to give you a much cleaner look than what you have already. In fact, it might be worse. The problem is that unless you make the exact right length of split on the end of the cable, you'll end up with uncontrollable loops that look worse than what your picture currently shows. Well, You don't have to have the loop next to the speaker. You could easily hide it off stage. 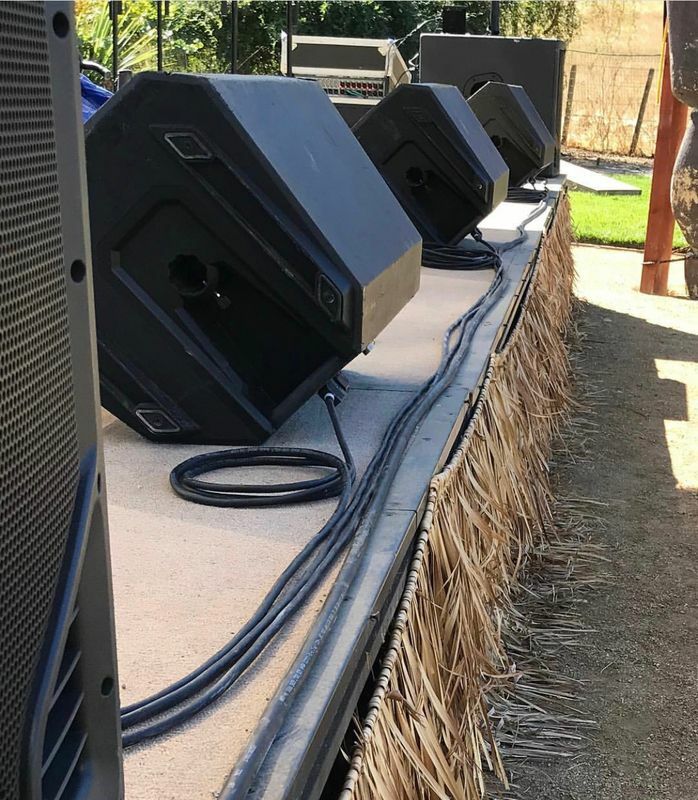 I would be more concerned with having IEC plugs onstage at the mercy of the performers who have other things on their minds mid-show than I would with bundling cables but thats just me. Hi Magnus, thanks for your input. For this particular show (shown above) there were going to be 4 different acts and each one had specific locations for their wedges, hence why I left the coil next to the wedge so that I’m able to place it in different locations for the artist. If it’s just one band I coil it off stage or right behind the sub.